It used to be true that if the Twin Cities were twin sisters, Minneapolis would be the pretty, popular one, and St. Paul would be Barb from Stranger Things (though we love Barb). While Downtown St. Paul’s after-hours scene is still more low-key than most major metros, there are a lot of great, overlooked post-work and weekend-eve activities that should make your calendar. Whether you live or work in Minnesota’s capital city, or you make a point of making a night of it, here are a whole slew of reasons to stay out in St. Paul. Did you know Minnesota boasts one of the founding teams of the Women’s Flat Track Derby Association? Back in 2004, the Minnesota RollerGirls league was born and soon became one of the first roller derby leagues to host a public bout. 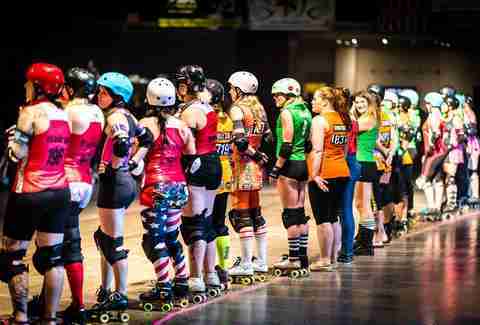 Now, over a decade later, the RollerGirls have four home teams -- The Atomic Bombshells, Dagger Dolls, Garda Belts, and Rockits -- that compete Saturday nights at the Roy Wilkins Auditorium downtown St. Paul. The skaters are all unpaid amateurs but you wouldn’t guess that from the way they do The RollerGirls (whose on-rink alter-egos have great names like Bully Jean, Hurtrude Stein, and Terror Swift) battle on the rink and getting more than a little competitive. The costumes the women wear are pretty amazing too -- think dyed hair, face paint, colorful knee-highs, brightly painted helmets, and uniform patches. It’s all-in-all family friendly, and for $15 per person, way more entertaining to watch than a movie. 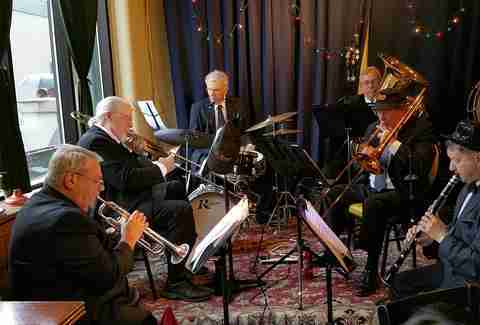 Black Dog has been a Lowertown mainstay since before the area was “cool.” Formerly a coffee shop, then a casual live music destination, now Black Dog’s Saturday Night Jazz is what draws well-heeled St. Paulites in for music and a martini. Admission is free, though the Black Dog features some of the best veteran jazz musicians in the Twin Cities as well as up-and-coming talent. Black Dog has other types of live music most every evening, including blues, bluegrass, old time, and international acts, but Saturday Night Jazz is truly the cat’s pajamas. The Science Museum of Minnesota isn’t just for kids’ class field trips; it actually has some pretty cool exhibits geared towards adults. Embrace your inner Bill Nye at the “Social Science” night, which includes trivia, Omnitheater shows, food, a cash bar, and live bands or karaoke. (You can be a kid at heart, but you have to be 21+ in order to get in.) Usually, Social Science has a theme of grownup interest, such as “The Science of Love.” Admission costs about $20 per person and given the amount to see in the nearly 400,000 square foot museum, that’s a lot of bang for your buck. A few times a year, Social Science even steps the experience up a notch further and hosts an Adult Camp-In, where attendees have the chance to sleep overnight amongst the exhibits. It’s the perfect chance to get your geek on and feel like you got something more valuable than a hangover from your night out. Who needs New York’s Rockefeller skating rink when you have Wells Fargo WinterSkate set against the beautiful backdrop of Downtown St. Paul? 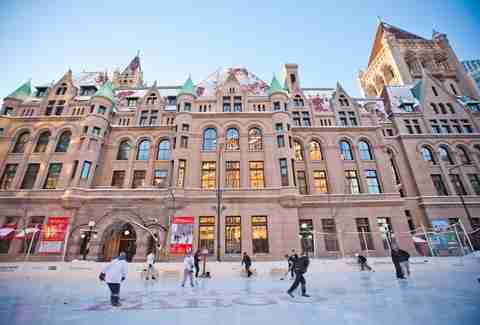 While small in size, the outdoor open-air rink is right in the heart of the city next to the historic Landmark Center. During the day, it’s chock-full with families and kids practicing hockey moves, but it’s relatively quiet after dark and the twinkly tree lights lining nearby Rice Park also make the skate a little more romantic if you’re on a date. Skating is hard work, so if you need a break from repeatedly losing your balance, cozy up in the rinkside warming house with a cup hot chocolate. Admission is free with skate rental also free for Wells Fargo customers, otherwise, it’s $4 per person. Sometimes, you just want to brag to your coworker about the cool, hip “cultured” thing you did last night while sipping champagne in your best little black dress (or suit.) Fear not, we have The Ordway, one of the country’s leading nonprofit performing arts centers, right in our backyard. The Ordway is home to the Saint Paul Chamber Orchestra and The Minnesota Opera, two of the most universally classy cultural experiences we can think of. The perfect time of year for appreciating all the Ordway has to offer is approaching; the holidays will bring Handel’s Messiah, The Hip Hop Nutcracker and Irving Berlin’s White Christmas, The Musical. Dressing up in what qualifies as finery and is the perfect antidote to the nights you stay in wearing sweatpants and eating pizza rolls. You know if it’s been on the History Channel, something is worth its salt. While yes, the Wabasha Street Caves have been on TV, they’re much cooler to see in person. For just six bucks, you can wander underground with a tour guide every Thursday and hear the history of the caves from the 1840s to present day. 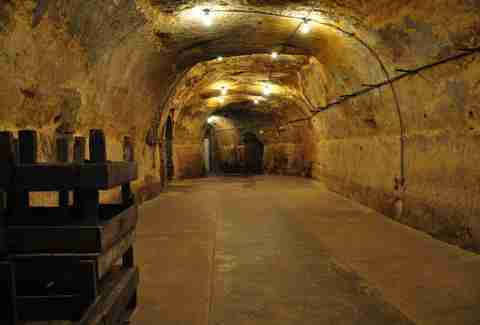 During the 1920s, the 12,000 square foot caves were home to a restaurant and nightclub known as the Wabasha Street Speakeasy, where gangsters John Dillinger and Ma Barker were rumored to be regulars. All we can say is you’re literally only scratching the surface of St. Paul if you miss this unique peek below the city. A typical girls' night out usually includes Instagramming and wine, but if you're looking to do something different, knitting is cool again at The Minnesota History Center's monthly Knitting Socials. These nights are always themed, such as the upcoming "Gridiron Glory," where you create a scarf in your favorite sports team's colors. Knitting Socials take place monthly on Tuesday nights, and not only is the event free, but so is admission to all museum exhibits. BYO knitting needles and girlfriends for a chance to knit, sit, and catch up. 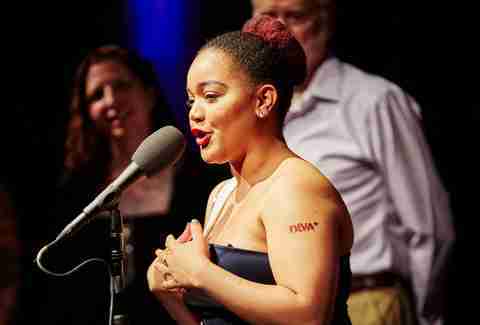 Part slam poetry, part spoken word, The Moth StorySLAM is an open-mic storytelling competition held in 26 cities around the world. Held at the Amsterdam Bar & Hall, an eclectic event space that also hosts live music, The Moth takes place monthly on Wednesday nights. You can't sign up to compete in advance -- rather, storyteller hopefuls put their names in a hat and 10 are picked to participate on the night of the event. Each contestant person has five minutes (no notes allowed!) to share a true story based on the night's theme. They're scored by a team of judges also selected from the audience and the winner advances to a GrandSLAM Championship. Whether you've been out all night drinking beers with the boys or coming from a concert, Mickey's Diner is the place to satisfy your late-night comfort food craving. The Art Deco style dining car has been serving hungry patrons 24 hours a day, 365 days a year for nearly seven decades. You can't beat Mickey's classics like a patty melt, chili, or fried chicken. Mickey's isn't just famous locally -- it's been in several TV shows and movies, including the Mighty Ducks trilogy. But beware the wait on Friday and Saturday at bar closing time; the 10 or so booths fill up quick and signs above them indicate a "30 minute limit" so you'd better eat that burger fast. There's nothing quite like Minnesota Wild game day, where downtown St. Paul is full of red and green jerseys as people stream into the Xcel Energy Center. 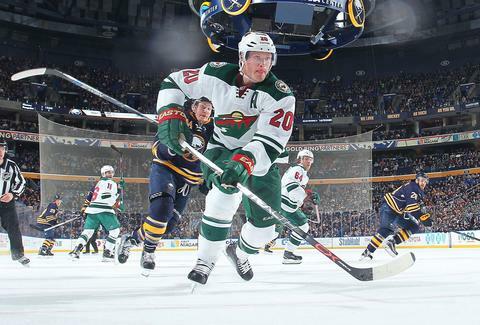 In fact, ESPN listed a Wild game at the X as one of the top stadium experiences in North America. Games usually sell out to a crowd of more than 18,000 but there really isn't a bad seat in the house. While you can still get a hotdog and beer in the arena, local gourmet offerings such as pulled pork poutine and lobster quesadillas really reign supreme. The arena's main restaurant, The Reserve, used to be exclusively for suite ticket holders but recently opened to everyone. The luxury restaurant offers cocktails and menu that includes fancy takes on stadium food like bacon beer nuts, meatball caprese flatbread, and goat cheese and tomato fondue. Jenna Bennett is a writer at Thrillist, loves Barb from Stranger Things, and used to live in St. Paul. Follow her on Twitter @jennasbennett.